This is Georgia. Georgia in the Caucasus. On the Black Sea, a part of Europe. We most kindly invite you to visit Georgia, a country famous for its hospitality, fabulous feasting traditions, ancient history and great cultural heritage. We believe that it is better to see once than to hear many times. Georgia is a small country in the Caucasus, surrounded on the north by Russia, on the east by Azerbaijan, on the south by Armenia and Turkey, and on the west by the Black Sea. It occupies a territory of 69,700 square km. The population is approximately 4 million. Over its more than two thousand years of statehood, Georgia’s independence has been lost and regained several times. Georgia is at the crossroads of Europe and Asia, and the Great Silk Road once passed through the country. It has a very important geopolitical location connecting East to West. Georgia is a Christian country (adopted in the 4th century). The population is mostly Georgian (Eastern) orthodox, but other religious affiliations have traditionally had a presence here. Georgia is known world-wide for its religious and ethnic tolerance. Many different Christian churches, a Mosque and a Synagogue coexist peacefully in the center of the capital of Georgia, Tbilisi. The population of the country speaks Georgian, a unique language spoken only in Georgia and having no equivalent. In 1991, Georgia declared its independence from the Soviet Union and after some hardships is beginning to build a democratic state. Georgia is a western-oriented country, ruled by a president and democratically elected parliament. Freedom of mass media is guaranteed by the constitution and is widely exercised within the country. 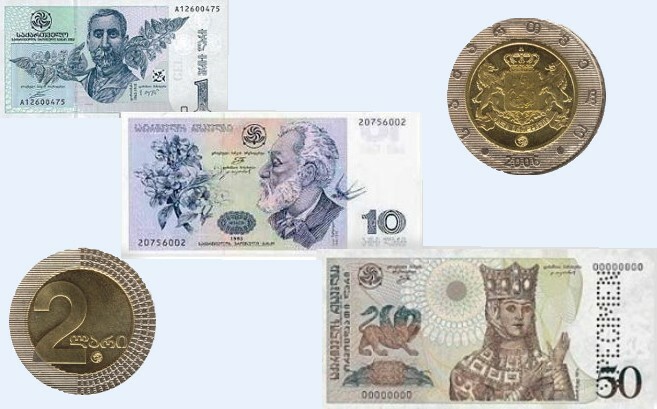 The currency is the lari, with 1 USD equal to approximately 2.2 lari, which can be exchanged freely anywhere in the country. Entry visas can be purchased upon arrival to the country. GSM cellular coverage includes the entire territory of Georgia. Taxicabs are cheap and prices are mostly negotiable. Tbilisi in particular offers moderately priced hotels, but reservations in advance are recommended. The national flag air carrier is Airzena Georgian Airlines, but British Airways, Austrian Airlines, Turkish Airlines, Airzena and some other companies also provide regular flights. Those who know the myth of the Argounauts might remember that the leader of the Argounauts, Jason, taveled to Kolkhida in search of the Golden Fleece, finally finding his beloved Medea. Kolhida was the name of the land, which is now Western Georgia, whereas the Eastern Part of Georgia was called Iberia. Yes, indeed, like the Iberian Peninsula. One highly speculative hypothesis by scholars states that the Iberians were tribes which migrated from the South Caucasus towards the West, some reaching Iberian Peninsula, whereas some of them went to the North and traveled as far as the British Isles. There are some linguistic similarities between the Georgian and Basque languages, and there are some toponyms also resembling each other. According to another Greek myth, Prometheus was chained to rocks in the Caucasus Mountains. Ancient Georgia had contacts with the representatives of all civilizations, the Phoenicians and Greeks, Romans and Arabs. 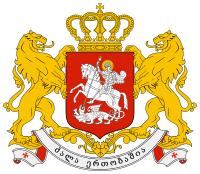 It has been proved that Georgian Statehood goes back to the 4th-3rd centuries B.C ., when Georgian tribes were united under King Farnavaz. The Georgian alphabet, which is unique among the 14 known World alphabet groups, also dates from this period. Throughout its troublesome history, Georgia has preserved its national identity fighting against the Arabs, Mongols, Persians, Turks and others who persistently attacked the country. Georgia also managed to defend its religion. As Legend tells us, St. Nino of Cappadoccia came to Georgia carrying a cross of vines bound together with strands of her own hair. As a result of her mission in 335, King Mirian declared Christianity the official religion of Georgia. In fact, religion was the factor which has played the most significant role in the fight of Georgians to preserve their identity. Now Georgia is an independent democratic country, developing its economy towards free market principles. Georgia is a member of the United Nations (since 1992), Council of Europe (since 1999), OSCE (EBRD), UNESCO, WTO, Partnership for Peace (under the NATO aegis). The World Bank, EBRD and International Monetary Fund carry out their activities in Georgia. Georgia is a country of legends, emotions and toasts! One has to give Georgia a try first, but having done so you are contaminated and can become a Georgia-addict! One of the most popular legends a Georgian will tell you is about God, who was distributing lands to the different nations. Of course, Georgians came late because they were feasting, drinking toasts to God, and so Georgians missed their turn. So God gave them what was left - the land which he had kept for himself! You will be told many legends and toasts during Georgian feasting (Supra) and we can assure that you will enjoy all of them.